There’s something about paths that I find intriguing and appealing in a number of ways. Where do they lead to? Who has gone on this path before me? Where would it take me? So what is around that next bend in the path? The end is usually not visible, just a portion of the journey is, and to see more you must take the path to discover what is around that next corner. And usually around the next curve of the path there is yet another one, and then another, yet again concealing what may lie ahead, beckoning and teasing one to journey onward. Twisting and turning the path draws me forward, my curiosity getting the best of me; what is around that next corner? Aesthetically they are pleasing to the lens of a camera. They usually start wide, filling most of the foreground and then heading off into the horizon, into infinity or obscured again by a bend in the path. The results can often be dramatic and tremendously pleasing for the photographer. Enough so that I find myself endlessly searching for pathways when perhaps I should be enjoying more of the rest of the scenery surrounding me! This Eastern US coast adventure was undertaken with good friends of ours, involving friendships going back in some cases to early elementary school, people we have since often travelled with over the years throughout Canada, Mexico and Europe. 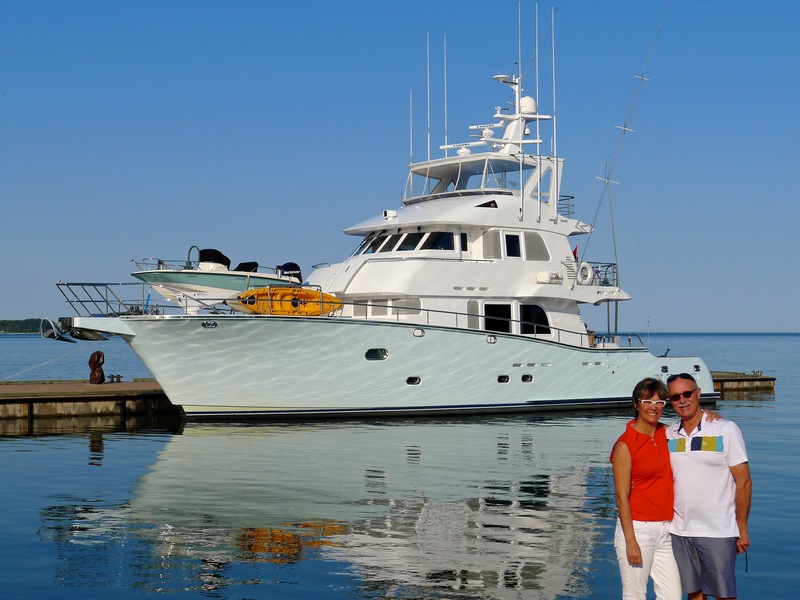 Tina & John retired a few years ago and purchased a 75’ Nordhavn trawler, (which they named Sockeye Blue), with plans this would be their primary home for the next 5-7 years, traveling the world and having friends meet up with them at different ports. We joined them on their maiden voyage out of Point Roberts, Washington, visiting the USA Gulf Islands with other friends and family members. Last year they once again left Point Roberts heading south to Latin America. They spent time in Costa Rica, then went through the Panama Canal, into Columbia, over to the Dominican Republic, around Puerto Rico, over to Turks & Cacaos, and eventually ended up in Ft. Lauderdale in March of this year for scheduled maintenance work. At the beginning of April we joined them in Lauderdale where they were still taking care of last minutes details on the boat, getting it ready for the next trip. 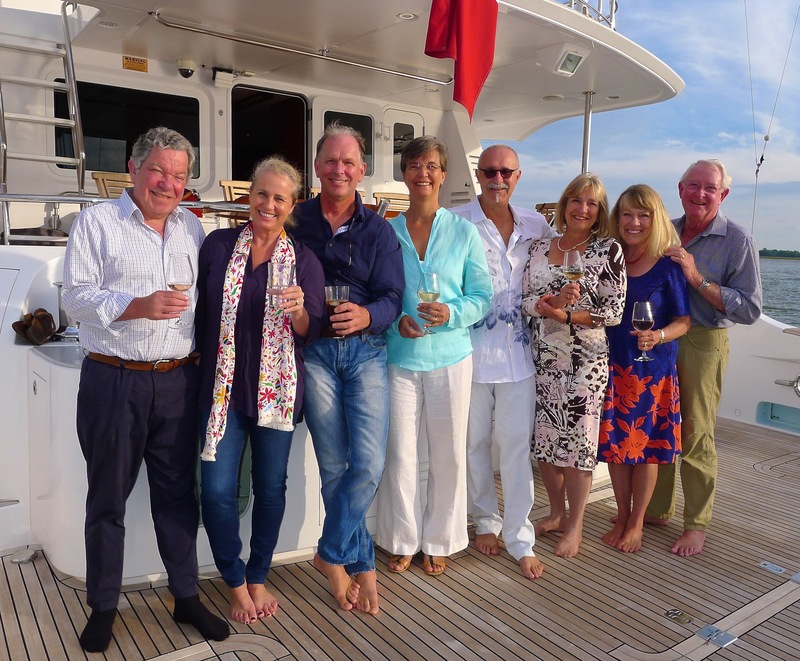 On board were Jone & Dan from California and Jan & Greetje from Holland, also long-time friends of John & Tina.